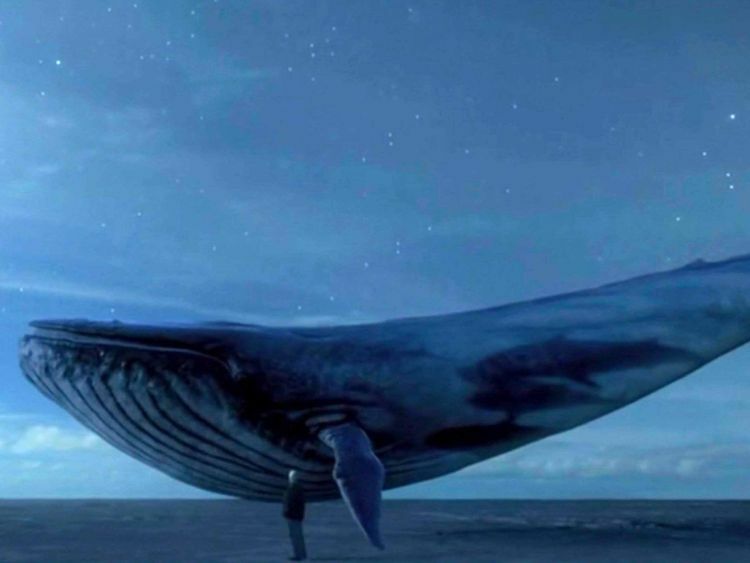 Dubai: Media have overhyped suicide rates connected to the Blue Whale and Momo Challenge games and it's distracting parents from the real issues of child safety online, according to experts in the UAE. The games that supposedly lure children to perform a series of dangerous tasks before ultimately committing suicide, are just an urban myth that have been exaggerated by the media, claims Mohammad Mustafa Saidalavi, the chief operating officer of Emirates Safer internet Society (Esafe). “It’s a moral panic for an issue that doesn’t exist,” he said. “Yes, there are challenge cults that vulnerable children may get easily lured towards, but in terms of anyone committing suicide from these games, it’s a big no. Maybe one child might have committed suicide in Russia and the police there have blamed it on this game, but the media have turned it into something it’s not. “The worry is, if we keep having to report these games are fake every time a new one crops up, parents might actually start to think that when we talk about the real issues, they are also fake. “We are desensitising the real issues of grooming, cyber bullying and sexual extortion that genuinely are a very big issue. Ali Al Amadi, the chairman of the Emirates Information Security Awareness Committee, and the chief executive officer of Ebdaa cyber security firm who sit on the committee under the UAE’s Telecomms Regulatory Authority, agreed. “It seems it’s a hoax and is just diverting attention from the actual issue,” he said. “The problem is so much focus is given to the game and trying to understand how it works that parents and cyber safety groups are forgetting the real issue of why do kids even seek these things out in the first place. They’ve also forgotten that there are so many other dangers online. “Regardless of whether it’s a hoax or not, we are losing the main focus, which is the actual problem and addressing the actual risk. “If you asked Dubai Police about actual cases related to kids online, I would think the number one problem would be cyber blackmail and cyber bullying. Importantly, Al Amadi doesn’t rule out all games as hoaxes and because of this uncertainty and the threat of genuine ones perhaps emerging, he doesn’t even mention the games in front of children, when giving talks to students at schools, in case they then go and seek them out. Although blocked in the UAE, he says children can quickly get around restrictions to download these games, especially via android phones, which enable you to download from outside the App Store. iPhones need to be jailbroken to download the games from outside of the store, but, he warns, children can quickly find ways to do that. Links to games can also be obtained through social media messages. And while remaining sceptical on the power of certain games that allegedly lead children to self-harm, he says it’s better to be wary, while not being blinded of more genuine risks. Just in case he advises children not to send pictures or personal information through such games, which was the requirement of one game recently doing the rounds called Mariam. 5. Monitor them but only up to a certain age, and tell them you are monitoring and why, but stop when they become teenagers otherwise they will find ways to hide things from you.